Buy the set and save money! Set of games will help build a therapeutic relationship, teach anger management skills, build self esteem, cope with worry and anxiety, increase feelings of empathy, and cope with death and loss. 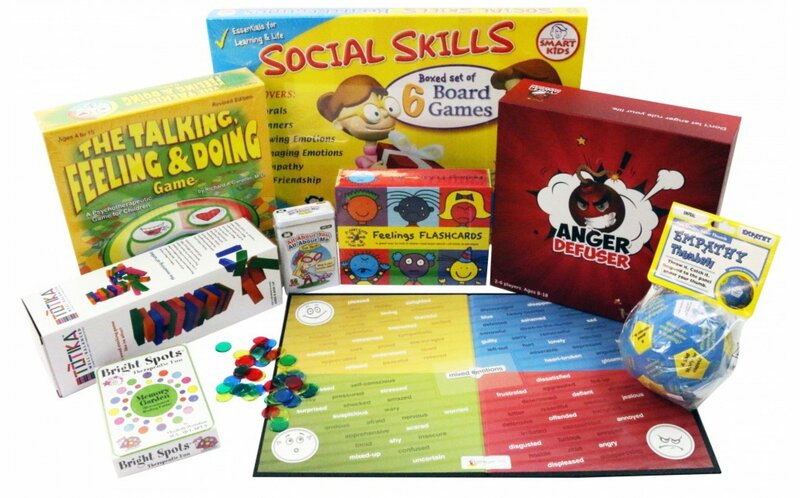 The Talking, Feeling and Doing Board Game: ages 4-15 and 2-6 players. The first published therapeutic game by Richard A. Gardener, M.D., is still a popular counseling tool used with children in therapeutic settings. Totika Self Esteem: ages 8 & up. Pull blocks from the stack and respond to questions from the Self Esteem Deck. Memory Garden Bereavement Healing Cards: 65 beautiful cards with sentence starters to help your clients process loss, grief, and death. Todd Parr's Feelings Flashcards: Bright, colorful cardstock flashcards look at many different emotions in a silly way. 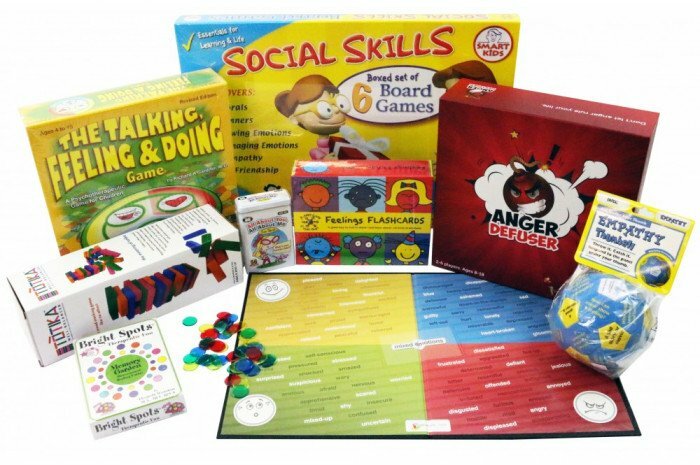 Social Skills Board Game: Six different board games in one box, Social Skills Board Game is designed to improve children's social skills and reinforce positive character traits. This set will make choosing games for your counseling office or playroom a breeze. Save money compared to buying the games separately. I really loved the game package. It would make a really nice gift for family members to give a just starting clinician or even a seasoned clinician. Really great set, it has been an excellent resource for my therapy sessions.